Here are some important notices from our October meeting. The charity committee needs any outstanding star blocks to be finished up and sent in. (Packets were distributed at the September meeting.) Please mail them to Susie by November 1. On November 3, people will be gathering at Susie's to sew the blocks together. If there's work to do after November 3, a second sew-in will happen on November 8, also at Susie's. To sign up for either date, please contact her at sboots812 (at) hotmail (dot) com. If you would like to commit to the six bee dates please contact Ellen at edutile (at) comcast (dot) net. We will hold our next retreat in Kennebunk on March 23-26, 2017. Sign-ups will happen in January, but mark your calendars now! On Saturday, November 12, we are convening at Quilted Threads in Henniker, NH, for a daylong sew-in, from 9 a.m. to 4 p.m. (No early birds! Please do not even pull into the parking lot until 8:45!) There is no cost for this event, but participants need to sign up in advance. If you want to attend, email Michelle at michelle.l.cain (at) gmail (dot) com. For those already signed up, bring your machine and typical sewing supplies. The shop provides irons and ironing boards. Also: we receive 15% off regularly priced merchandise the day of the sew-in. You can view all of the show and tell items from October here! Our November meeting will take place on November 15th. 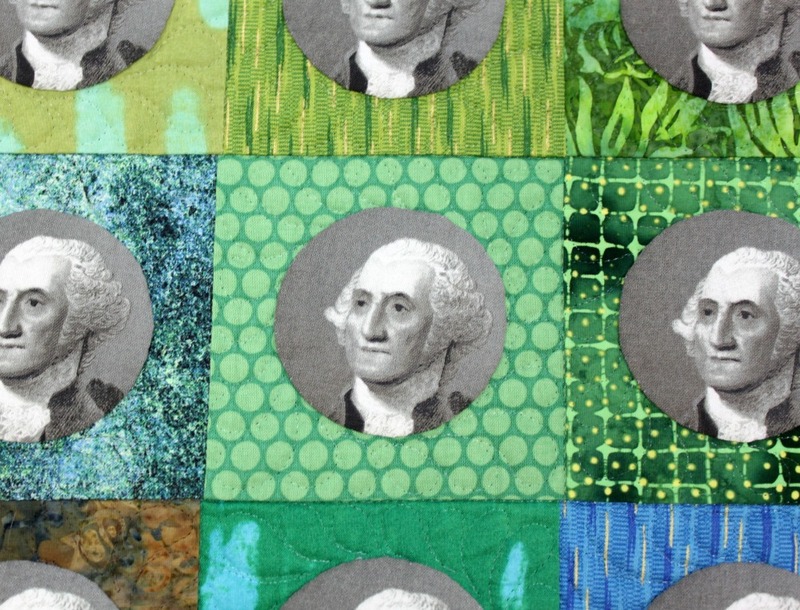 We will be having part 2 of "Share Your Favorite Quilt" so get your favorite quilts ready! Our members have been very busy and had some beautiful items to share at Show And Tell in October! Denise made these two quilts as gifts for boys that will be sharing a room. They are similar, but different! Patty made this cute runner for her mom. Susie made this true labor of love for her parents 50th wedding anniversary. It even has their family tree on the back! Carolyn made a lovely paper pieced wall hanging. Alexandra used the colors of her company logo to make this wall hanging that will be on display at the office. One of our VP's, Michelle, made this amazing giraffe quilt for another of our VPs, Chelsea, aka Patch the Giraffe. 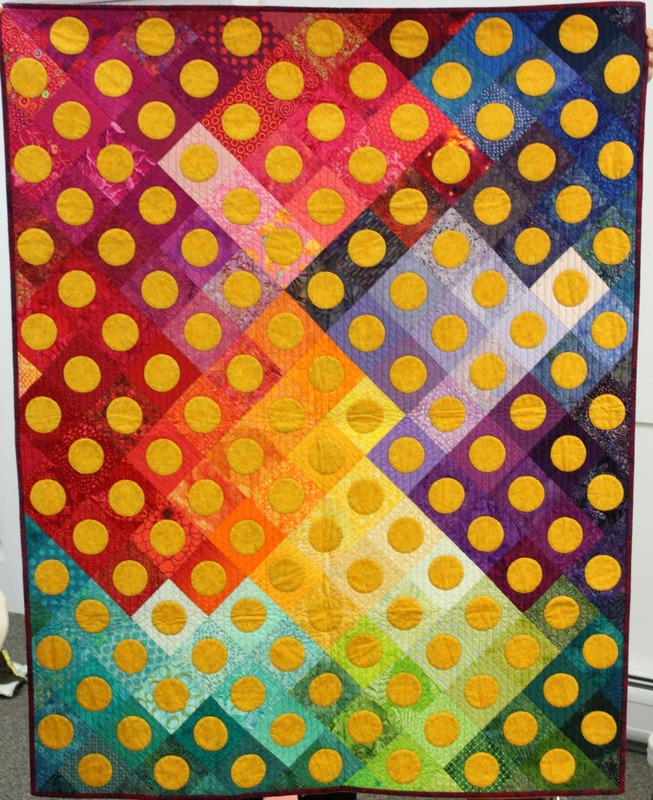 Gail used a Carkai layer cake for this quilt. Pat bought this top at an auction and finished it up. 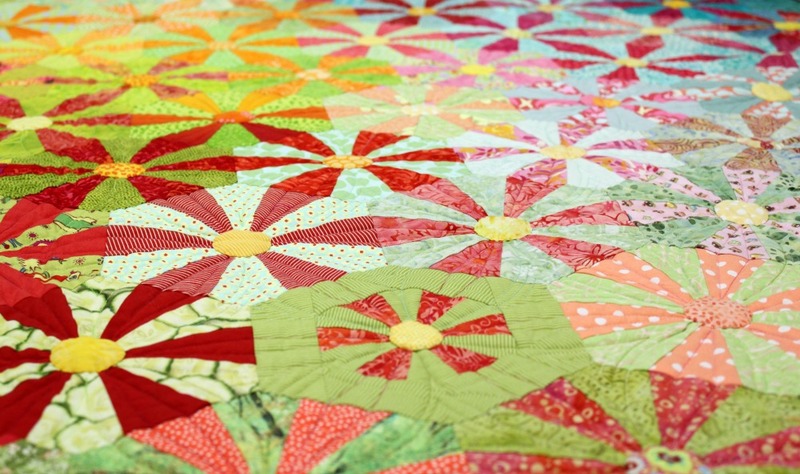 Nancy used a jelly roll and a tutorial from the Missouri Star Quilt Company to make this bright and fabulous quilt! The kids are back to school and attendance at our September meeting was high! It's so exciting getting to see everything everyone has been working on. Here are the pieces everyone brought for Show and Tell. We presented the church where we meet with a quilt for an upcoming event! These charity quilts were all made by members throughout the year. The fabric was donated and Janome block patterns were used and then our members got creative with how they put them together. The finished quilts are being given to Project Linus and the Hospice House in Merrimack. This charity quilt is still a work in progress, but it will soon be given to Bridges for their January gala. 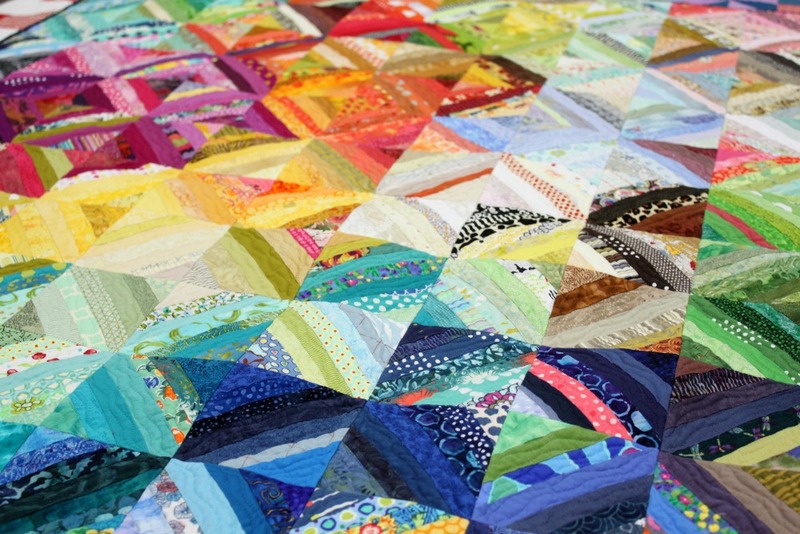 Michelle used the scraps left over from her Icy Waters quilt to make this quilt. Patty is in an art group and the theme for this beautiful mini was travel. Lisa made this big quilt for some newlyweds. This picture doesn't do it the justice, the quilting on this is amazing! Lisa is also in the group that created quilts with a travel theme and she created a Dr. Who police box, how fun! Having caught the garment sewing bug, Nancy showed off these fun polka dot shorts she made; complete with welt pockets. This mini was Gail's first time machine quilting, you go girl! 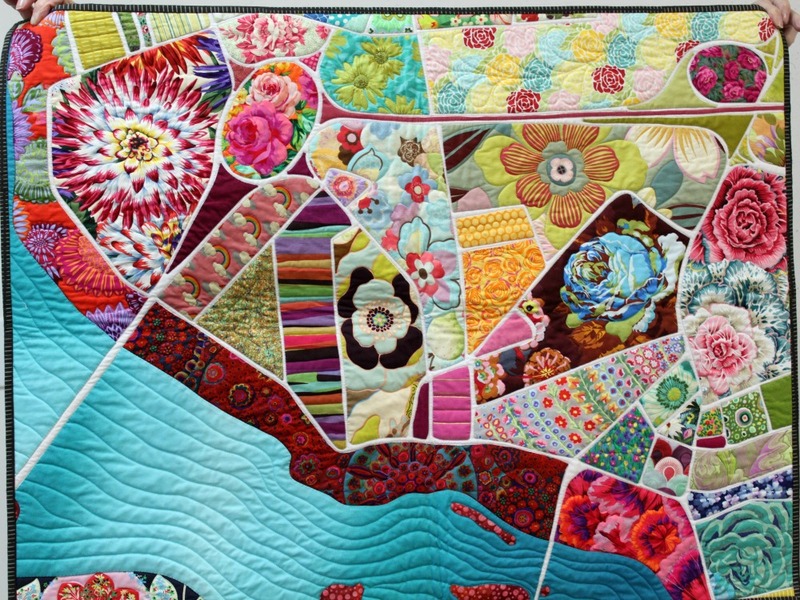 Donna calls this quilt starry night on a rocky new England coast, she's so creative! Susie made this adorable giraffe quilt for a very luck baby. Brianna joined us in September as a guest and shared her Alison Glass feathers quilt. This was her first time paper piecing and doesn't it just look wonderful?! Eileen made a baby quilt and tried her hand at appliqué for the first time! Chelsea had five finishes to share! This one is Starlight by Thimble Blossoms. 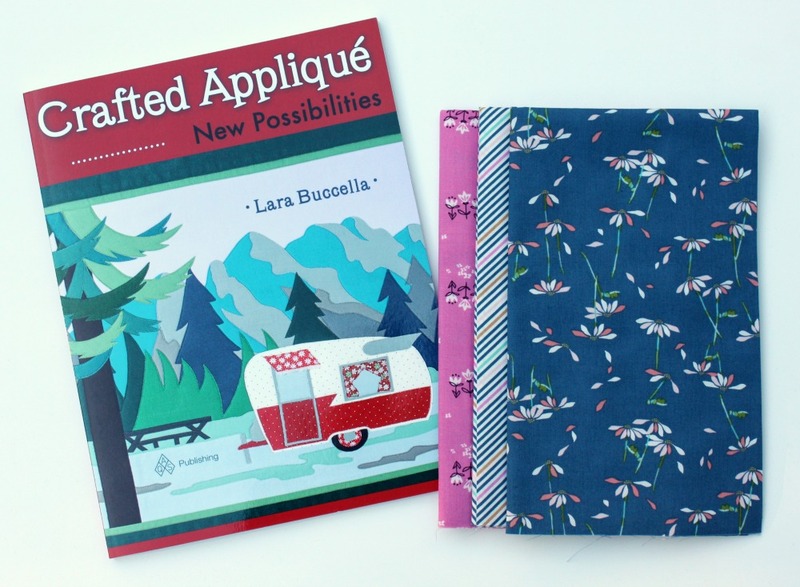 This quilt was inspired by an episode of the show Fixer Upper and I (Carolanne) want her to teach me how to make one! The NH Modern Quilters Guild Sewing Bee will be starting in January 2017! After reviewing all the responses to the questionnaire (Thank you everyone!! ), it was determined that Sundays were preferred and that people would love to get together every other month in the year. So with that in mind, Ellen has reserved the following dates for our meeting to be held at the Peabody Mills Environmental Center (PMEC), located at the end of Brook Road in Amherst, NH. In order to make this work, we need to have a majority of people willing to commit to attending all of the above sessions to cover our minimum requirements for each session. This will require an upfront payment of the $60 for the year. Hopefully there will be a few slots available for people to join us for individual sessions for those who cannot commit to the full year. We can only fit about 20 people per session. Signup for the Sewing Bee sessions will be held at our October guild meeting. Prepayment is requested at that time.